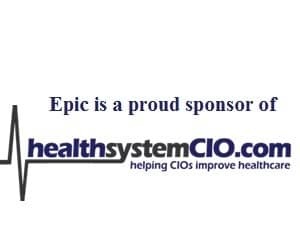 In recognition for the work he has done during his 24-year career in health IT, Edward Marx has been named the CHIME-HIMSS 2013 John E. Gall Jr. CIO of the Year. Marx currently serves as senior VP and CIO at Texas Health Resources, which earned the 2013 HIMSS Enterprise Davies Award for innovative use of IT, and has achieved either Stage 6 or Stage 7 designation for all 14 hospitals. A HIMSS fellow since 1999 and a CHIME fellow since 2012, Marx has held volunteer leadership positions for HIMSS at both the chapter and national levels, and is a faculty member of the CHIME Healthcare CIO Boot Camp. He is the Texas CIO Coordinator for CHIME StateNet and the Governor-appointed Chairman of the Texas Health Services Authority, and received the organization’s annual State Advocacy Award in 2012. A longtime proponent of education, Marx serves as reviewer for the conference education sessions and HIMSS Analytics on-site reviewer for verification of Stage 7 hospitals, and lends his time as a HIMSS Executive e-Mentor. He is a blogger and social media enthusiast, as well as a frequent speaker and webinar presenter. Marx is a member of healthsystemCIO.com’s Advisory Panel. Prior to joining Texas Health in 2007, Marx was CIO of University Hospitals Health System of Cleveland. He previously served in a variety of IT leadership roles with organizations such as HCA, Parkview Episcopal Medical Center, and Poudre Valley Health System. Concurrent with his career in healthcare, he served 15 years in the Army Reserve, first as a Combat Medic and then as a Combat Engineer Officer. Marx’s academic background includes a BS in psychology and an MS in consumer sciences (business) from Colorado State University. “Ed’s contributions to HIMSS are noteworthy because he has given back to so many people and in so many different ways. All of us at HIMSS congratulate him on his accomplishments and earning this award,” said Carla Smith, executive vice president, HIMSS.